Dan gave me a Fondue set for Christmas last year but we hardly use it. We think it’s more fun to use it when we have guests. Everyone can sit around and dip their food in the ceramic pot. It creates a relaxed and homely atmosphere. 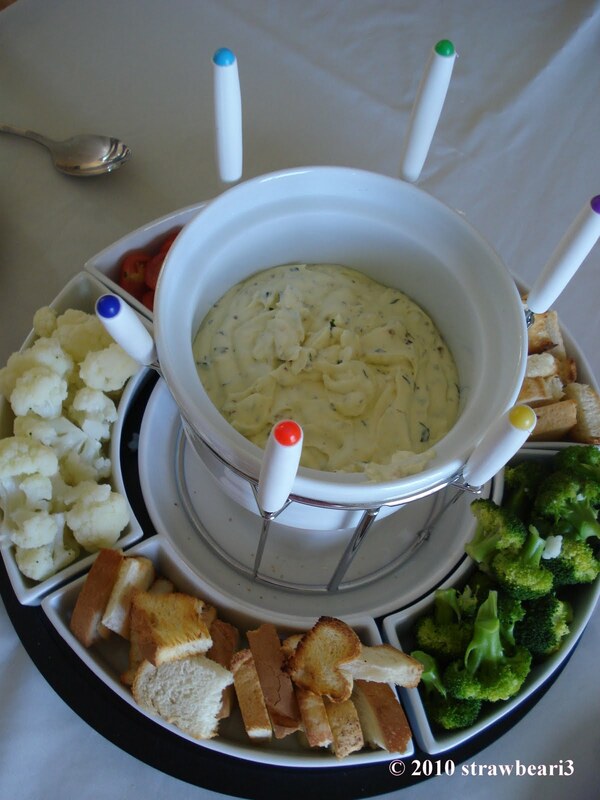 Fondue was first invented by the Swiss with a pot of melted cheese shared at the table. The name Fondue came from the French word Fondre, meaning “to melt”. According to history, it is a peasant dish, created to use up left over bread and hard cheese. This style of dining has evolved since then. The modern adaptation includes the commonly known chocolate fondue, meat in oil fondue and broth fondue, which is very similar to Asian steamboat. The 2 main ingredients for this dish is cream creese and herbs. 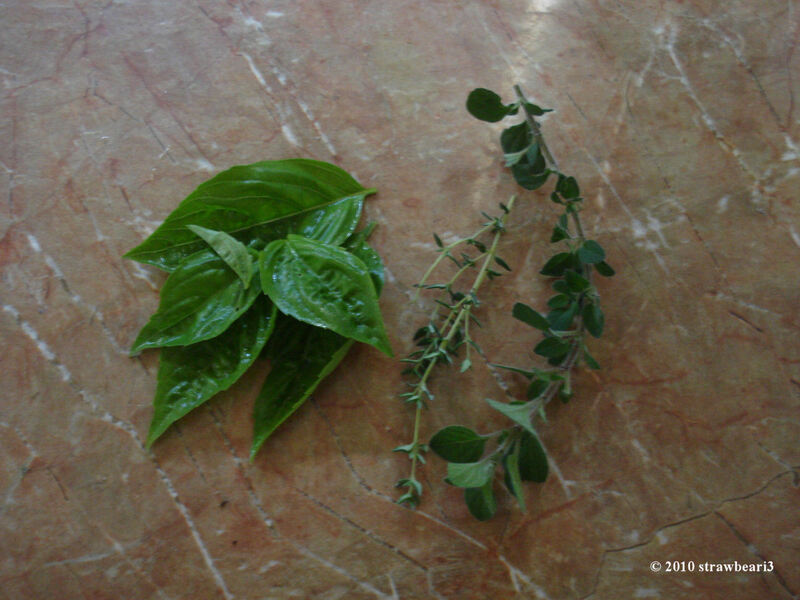 Since our garden is filled with weeds….errr…I mean herbs, I decided to use our freshly grown basil, thyme and marjoram. Firstly, sauté a clove of chopped garlic in the pan until medium brown. Reduce heat and add 250 grams of cream cheese. Stir until the cheese mixture melts. Mix in ½ cup of cream and continue stirring. Finally, add the chopped herbs and cook for another 2 minutes. Pour the mixture into the Fondue pot and it is ready to be served. The one I made below is served with cauliflower, broccoli, tomato and bread. You can be as creative as you like but try to stick with solid food. I find solid food easier to dip and you definitely don’t want the food to ‘disappear’ into the mixture.